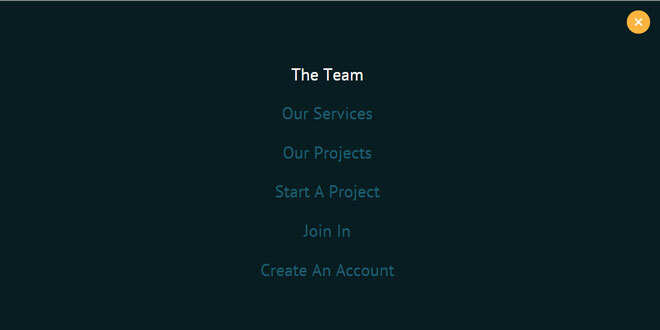 If do you need fresh menu for your project - see the EliteBox Drop-Down Menu jQuery plugin, maybe that is it. The EliteBox have to offer you high spectrum of possibilities. It use images on main items, in combination with the dynamic animation - it gives a unique effect, which is more intuitive. In addition, EliteBox can be second-level. You can set custom color for each item. The Drop-Down Menu script is fully Responsive an easy to use. The jQuery EliteBox - Drop-Down Menu must have the jQuery 1.7+ library, the jQuery UI (with Effects Core) and init possibility to rensponsive. 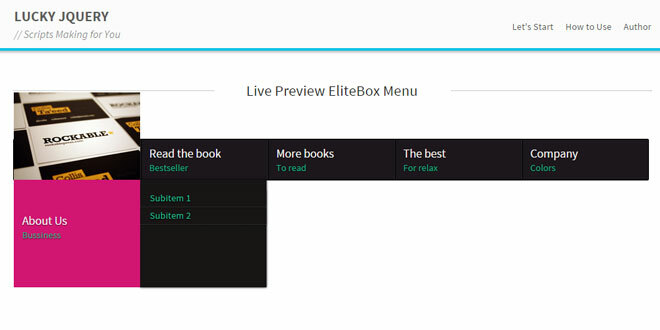 The EliteBoxMenu structure is very simple. First, you must create a div with eliteBoxMenu class. Inside the div push <ul> menu list, where each<li> will be have a link and submenus. See the example code. data-image - link to an image. Speed - speed of animations in miliseconds. mainHeight and mainWidth - size of main items, if you change the values please update it also in EliteBoxMenu.css. hoverColor - default color for items hover if you don't set custom color in item attribute. method - method of use the menu - mouseenter or click. For mobile devices the method always is click. 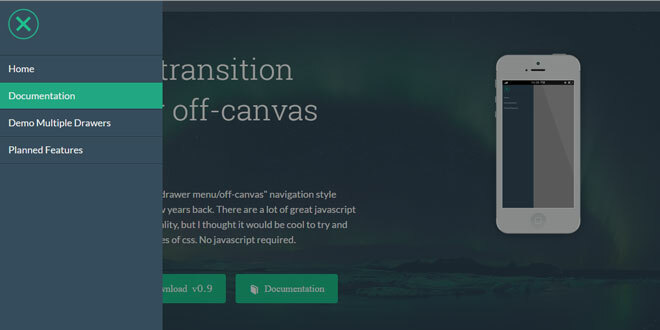 rwdFrom - set the width for Responsive Web Design. If you change the property you must also update in CSS.